Our era of gaping inequality may be a foe to civic concord, but it is a friend to private philanthropy. Every passing month seems to bring an announcement about a new mega-donation — Michael Bloomberg’s $1.8 billion gift to Johns Hopkins University being just the most recent to make headlines. CAPE TOWN — Giving back to the rural folk among whom you were raised is always a heartfelt deed – but when you do this in a way so fundamental that it far outstrips what even the government has been able to do, it becomes profound. Navigating the complex apartheid-born legislation that reduces township residents to mere tenants with no collateral to work with is a major feat, especially in the small rural towns over which the winds of change seem to have whistled unchecked. Being useful to humanity is the ultimate worship. Remember cowards never begin anything but are verbal experts at everything. The African CSO Excellence Awards is a joint initiative between EPIC-Africa and the Rockefeller Foundation. The Awards highlight the importance of organizational capacity to achieve program impact. The African CSO Excellence Awards reward organizations that demonstrate excellence across eight key elements of organizational capacity: Strategic Ability and Adaptability, Leadership and Governance, Financial Health and Management, Human Resources and Staff Development, Operations, Communications, Partnerships and Alliances, Monitoring and Evaluation. With the U.S. Supreme Court now dominated by five movement conservatives, nearly all the gains of modern liberalism—many of which leading foundations helped to engineer over generations—are now at risk. Major reversals on civil and reproductive rights are only part of what may lie ahead. The larger dream of the conservative legal movement is to limit government in a wide range of spheres—repealing by judicial fiat decades of laws to protect workers, the environment and consumers, as well as the legal frameworks that support key entitlement programs like Social Security and Medicare. JOHANNESBURG — Futuregrowth Asset Management, acting on behalf of client funds, recently concluded an investment in the Impact Bond Innovation Fund (IBIF), a South African outcome-based financing mechanism that seeks to improve early childhood learning and development (ECD) outcomes in the Western Cape. The IBIF, a social impact bond, is the first ECD-focused transaction of its type in the Global South. Melinda Gates has handed over the co-chairmanship of Maverick Collective, an all women-led philanthropy group, to South African businesswoman and philanthropist Dr. Precious Moloi-Motsepe. About three years ago, an experiment in the financing and delivery of a program aimed at increasing girls’ school enrollment and achievement began in Rajasthan, India. In this rural area, where agriculture is the main form of subsistence, one in ten girls aged 11-14 are kept out of school, for reasons such as contributing to the family income or caring for siblings. 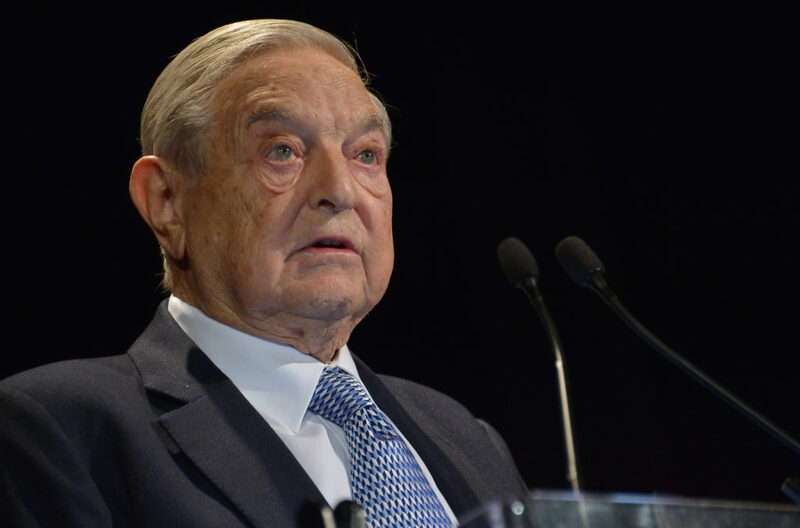 The organization, which was founded by American-Hungarian financier George Soros, has filed a case with the European Court of Human Rights in Strasbourg on behalf of its Hungarian legal entity, it said in a statement Monday.